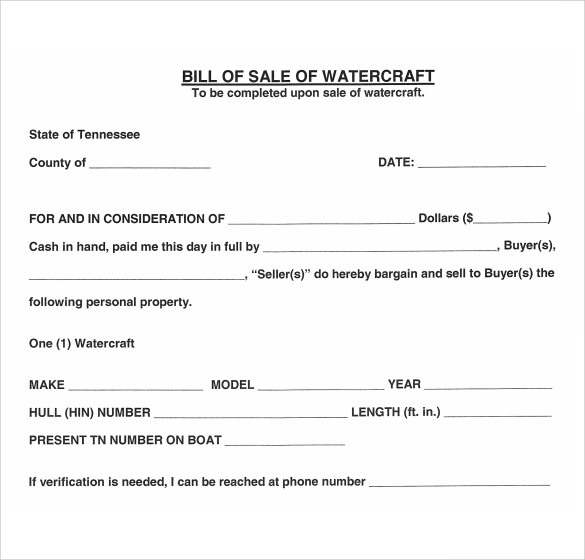 A boat bill of sale is an important piece of document used in the purchase or transfer of a watercraft vehicle. 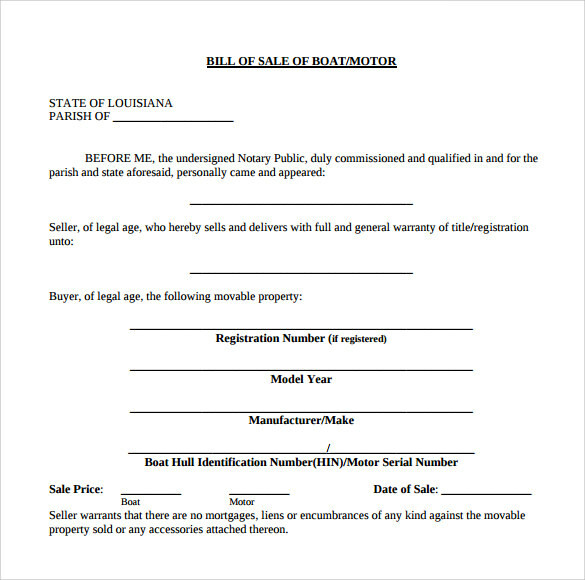 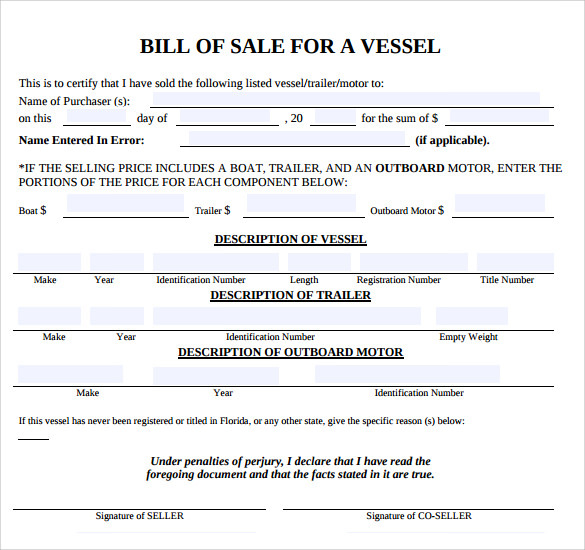 Like any other Vehicle Bill of Sale document, a boat bill of sale serves as a proof of ownership of a boat. 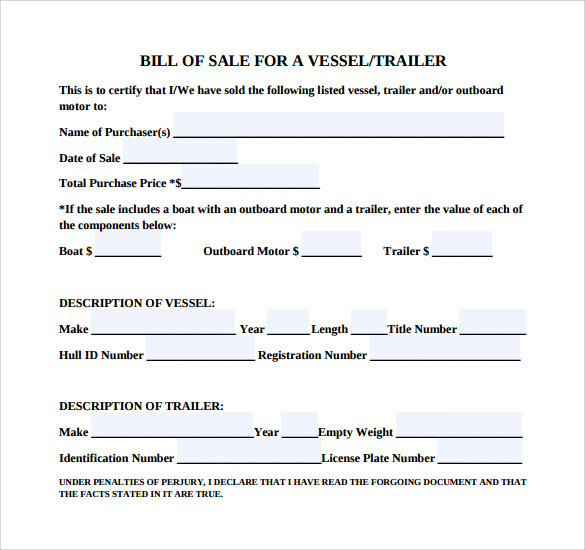 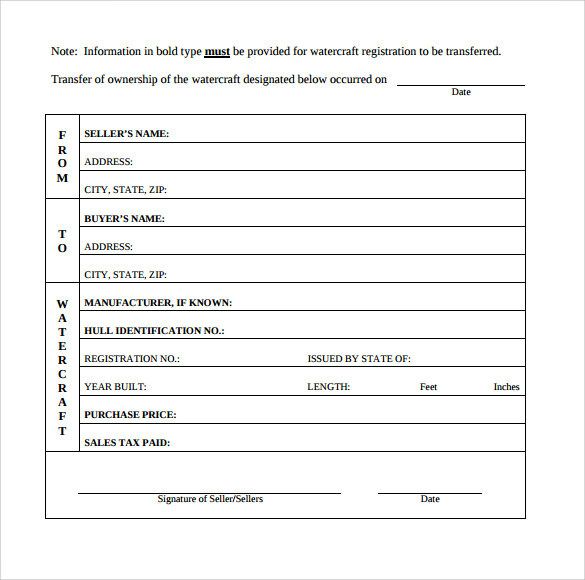 The document typically includes all relevant information pertaining to the boat, the buying party, and the selling party. 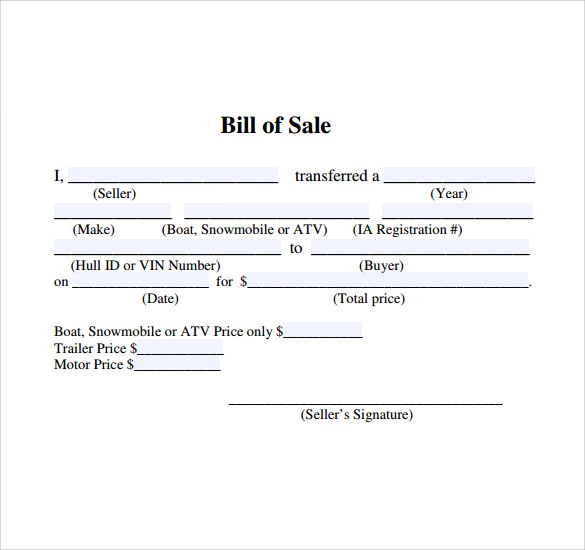 The bill must include all vital information about the vehicle including, the type of the vehicle, the make, the model, the registration number, the date and year of purchase, as well as the hull or vehicle identification number. 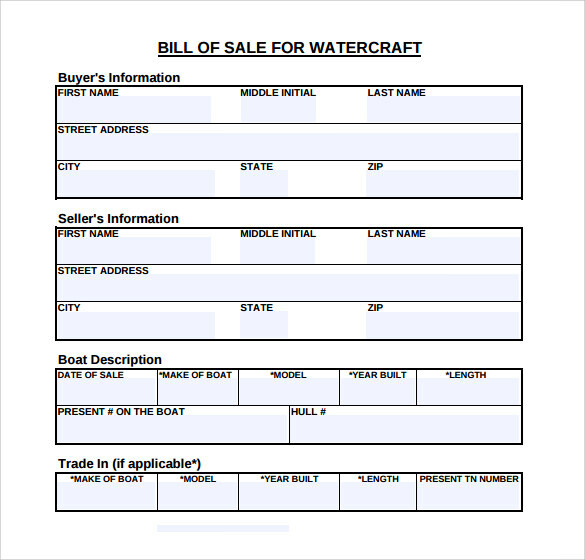 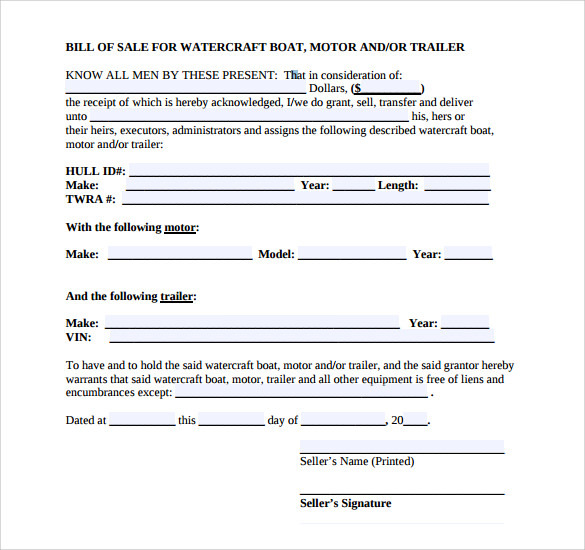 The following list includes range of downloadable boat bill of sale templates that you can customize and use with just a few clicks of the mouse (available in PDF, Doc, and all other commonly used formats).